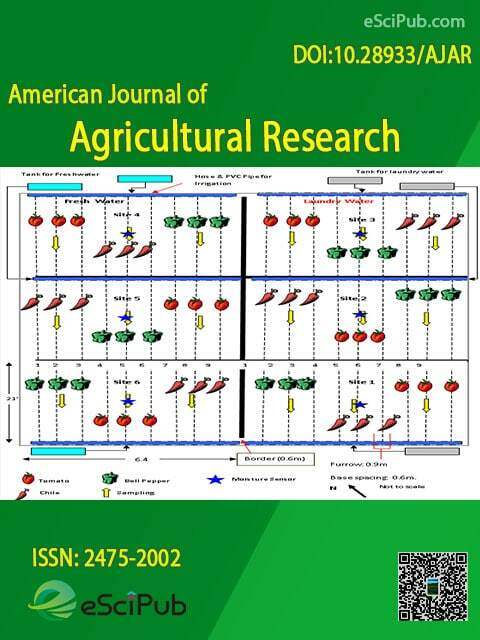 American Journal of Agricultural Research (ISSN:2475-2002; DOI:10.28933/AJAR) is a peer reviewed open access journal publishing articles in Agricultural Research. Characterization of Some varieties of Durum Wheat (Triticum durum Desf) under Control and Water Stress Conditions. The Effect of Different Irrigation Cycles and Salicylic Acid on Certain Quantitative and Qualitative Traits of Viola tricolor L.
Seed viability and emergence depths of Ageratum conyzoides L.
The American Journal of Agricultural Research is a peer reviewed open access journal publishing research manuscripts, review articles, editorials, letters to the editor in Agricultural Research (indexing details). You can submit your manuscript by the below form or send it to AJAR@escipub.com (use "American Journal of Agricultural Research" as the email subject line).